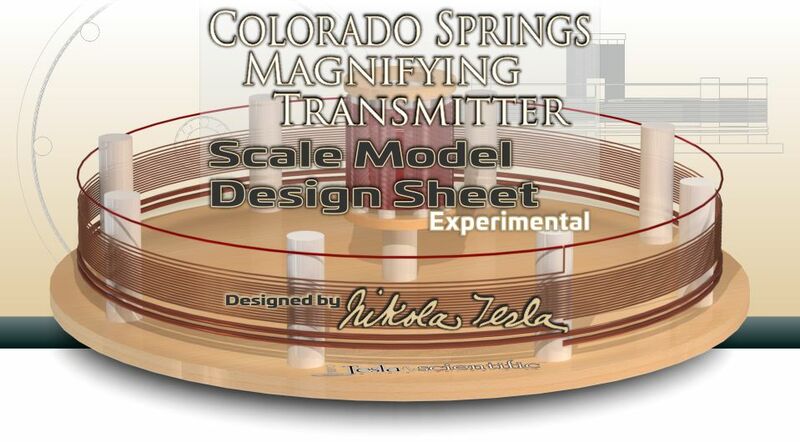 The Colorado Springs Magnifying Transmitter Scale Model Design Sheet is here! This selection of downloadable PDF designs offers the opportunity to build what is quite possibly the world’s most advanced Tesla coil. Designed by Nikola Tesla, scaled down to the finest detail, this coil is the real deal. Looking for a specific frequency? Custom designs are available for any frequency between 200 kc and 5000 kc (200kHz-5MHz) so you can build a small desktop model, or a 3 metre giant that will take over the garage! Now is your chance to build your very own scaled down fully-functional Tesla Magnifying Transmitter! The Crystal Radio initiative is directly related to the Magnifying Transmitter and is recommended to anyone who would like to learn and follow in Tesla’s footsteps. The Crystal Radio Initiative is your gateway into Nikola Tesla’s world. Build a Tesla coil and receive AM radio and power through the earth! The Free Crystal Radio Initiative Calculator can help you get past the first hurdle – all the maths! Just enter your desired frequency to start designing your coil! Ready to take it to the next level? Check out the advanced downloadable spreadsheet which includes fully integrated coil analysis and even more features. Just good old radio principles.